What is the red button for? I never figured it out. It seemed to be popular in Finland, but not in Denmark, Sweden, or Germany. 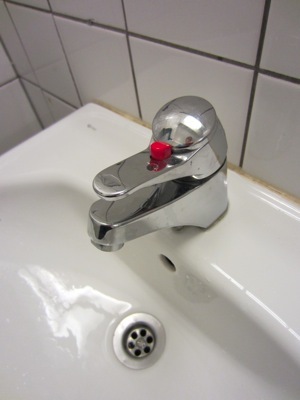 Sometimes the button was green, sometimes it was on the back of the faucet.